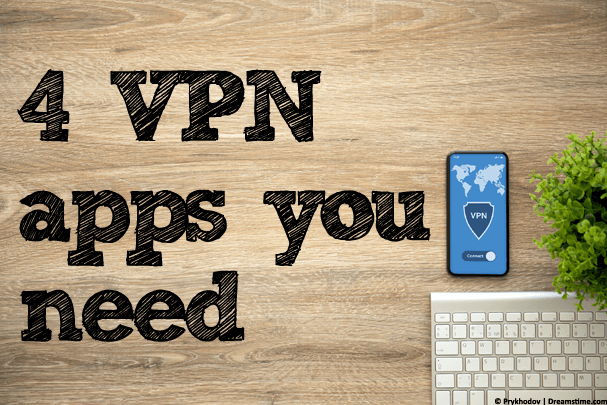 VPN apps are the buzzword of the day and just like anti-virus they’re now a requirement if you want to stay secure online. The problem is unlike anti-virus the VPN industry hasn’t quite matured yet. Choosing an anti-virus app is difficult enough but there are at most 4-5 main players and 1-2 reputable free products. Right off the bat let’s discount ‘free’ VPN apps and if you want to know why, just read here, here or here. That leaves somewhere in the region of an estimated 500 VPN services to choose from (Yes, FIVE HUNDRED!) How do you even begin to choose? If I had a 500 option menu, I’d go to another restaurant. Out of those 500, there are probably about 10 – 15 which are any good and cover all needs. Below I’ve selected the 4 VPN apps that are all you’ll ever need to consider. Be confused no more VPN hunter, just choose one of these 4 and you can cut the other 496 providers from your thoughts. ExpressVPN is my current go-to provider and it’s not without good reason. They’ve got VPN servers in well over 90 countries and to keep you secure they support nearly every platform going. Apps are available for Android and iOS, the Amazon Fire TV Stick, Windows and Mac OS computers plus others such as Linux and routers. They’ve also got a huge 30-day money back guarantee giving you plenty of time to test their service and compare it to others risk-free. Speed and reliability is another strong point. With download speeds being some of the best out there and connection drops very rare it allows you to connect and forget about the service. A high level of encryption is available up to 256-bit plus their no-logs stance (see how that held up here) coupled with their off-shore location makes this one of the most secure VPN services. IPVanish has long been one of my favourite VPN providers and after constant good service for a number of years they’ve earned their spot in the Top 4. Their standout feature is without question the huge 10 concurrent connections. This allows you to use 1 subscription on 10 devices at the same time. There are no other providers who offer so many (I know, I’ve checked!). There is a full range of apps to use those connections up on including Windows and Mac OS, Android and Apple iOS plus the Amazon Fire TV Stick. The service isn’t so good at unblocking content like Netflix and BBC iPlayer so for that you should stick with ExpressVPN. However, if privacy protection is your need then their 60-something VPN server locations and 256-bit encryption will keep you secure. In 2018, the service recommitted itself to its no-log policy (you can read about that history here) allowing you to browse the web without fear anyone is poking their nose into your business. CyberGhost VPN is the answer if you’re new to VPN services. They’ve got apps for most major devices including Android and Apple iOS, Windows and Mac OS plus the Amazon Fire TV Stick. The best feature is their apps give you a helpful hand of where to connect. Want to unblock a certain movie website? Need to protect your online privacy? All these questions and more are answered by their apps leaving you with no mistake of where best to connect for each purpose. There’s an eye-watering 45-day money back guarantee and after some extensive looking I haven’t found another provider who either beats this or even matches it. A full month and a half to test the service without risk. There are no restrictions on what you do while connected to the service and you have access to over 3,000 VPN servers to do it on. 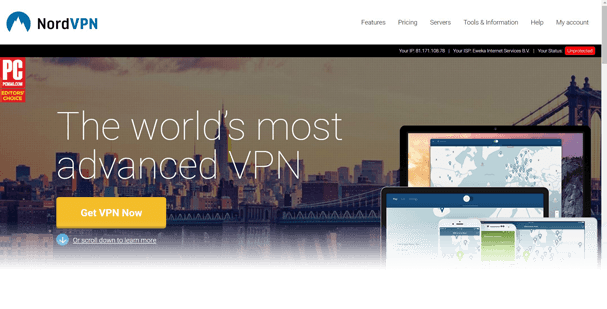 NordVPN is one of the biggest VPN providers to date and they didn’t get there without offering a decent service. From TV adverts in the US to sponsoring Liverpool Football Club, you’ll see the NordVPN brand everywhere. It’s little wonder they’re popular with prices as low as $2.99 per month or £2.34 at current rates. VPN Servers are available in over 62 countries and with the current server count standing at over 5,000 they offer more individual servers than any other VPN service. Unblocking services like Netflix and BBC iPlayer is a doddle and if you want to secure your privacy then they’ve got a wide range of options. Everything from 256-bit encryption to double-hop VPN connections, P2P specific servers and ‘Onion over VPN’. The service claims to store no-logs of your activity allowing you to browse the net securely and they’ve released a public audit of their service to confirm their credentials. Choosing a VPN is often down to your personal usage. Which one you should select depends if you want to protect your privacy, simply unblock streaming websites or for some other reason. The 4 providers listed above cover almost all possibilities. However, to help you even more I’ve broken them down into usage scenarios. If you’re struggling to choose one of the four above take a look below and see which matches your usage the closest. If you want to secure your online privacy, choose ExpressVPN. With a worldwide selection of servers, a claimed no-log policy, apps for all devices, a high level of encryption amongst other features, they’re the best for protecting your privacy. If you want to unblock streaming websites, choose NordVPN. They work to unblock more sites than most. American Netflix, the UK’s BBC iPlayer, ITV Hub, Australia’s Foxtel Go and more all work great with the service. If you’re new to VPN use and confused, choose CyberGhost VPN. With a range of beginner-friendly pointers, their apps will lead you in the right direction for your needs. If you want to secure loads of devices, choose IPVanish. With 10 connections being allowed, you’ll be hard pushed to find a service that offers more. If you’ve got loads of different devices or a big family then this will be the most cost effective option. If you’re like me you don’t have time to be trawling through hundreds upon hundreds of VPN services. While they all advertise almost exactly the same and claim to offer the same features there are huge differences when you actually sign up. I’ve tried and tested many VPN services over the years and the 4 above keep cropping up at the top of the pack. So, if you want to secure your online privacy, unblock TV streaming services or need a VPN for any other purpose, simply choose one of the four above. Or click the link below to get my personal recommended service.